Whether you are looking for a five star honeymoon suite with luxury service or a more affordable beach hotel where you can sip cocktails and have dinner overlooking a romantic sunset, our list was designed as a starting point for finding your ideal Caribbean honeymoon vacation. 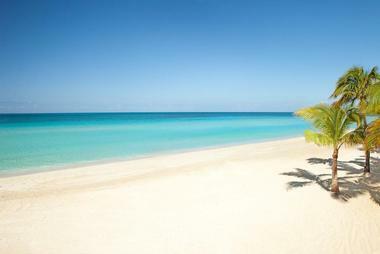 The Caribbean islands are a dream destination for couples who enjoy sandy beaches, warm tropical climate. Some couples like to check into a full service resort that they never have to leave, while others like to explore the whole island, go scuba diving, kayaking and try many other adventures. Boucan is a getaway for foodies and nature lovers, surrounded by a lush rainforest and cocoa groves 1,000 feet above sea level in St. Lucia. Guests are accommodated in plush lodges with views of the Pitons, romantic four-poster beds and an outdoor rainforest shower. The hotel provides scheduled speedboat service to local beaches. The cuisine at Boucan is inspired by the surrounding cocoa plants. You'll be able to order unique dishes such as Cacao Gazpacho and Citrus salad with White Chocolate Dressing. Rooms start at $450 per night (hotelchocolat.com). 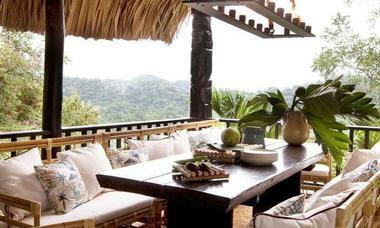 Kanopi House is an eco-friendly hideaway in Jamaica, surrounded by a tropical jungle and ancient Banyan trees. A path leads to a private stretch of shoreline where you will find a pristine coral reef, perfect for snorkeling and swimming. Abundant marine life includes purple manta rays and various species of colorful tropical fish. The property was built using sustainable wood, handcrafted furnishings and a grey water system. Honeymooners are accommodated in unique tree houses which were built so that no trees had to be cut on the property. Large French doors open to let the nature in, letting you enjoy the song of birds and ocean breezes. 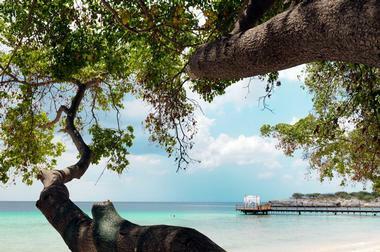 The restaurant serves traditional Jamaican dishes that incorporate fresh local ingredients. The hotel can prepare a gourmet picnic which you can take with you to a nearby beach. The best way to reach the property is to take a 30-minute scenic helicopter ride from the airport. Rates start at $300 per night (Phone: +1 876-632-3213). Kittitian Hill is an eco-friendly luxury hideaway with a spa, golf course, an organic farm and romantic restaurants. Immerse yourself in the breath-taking beauty of the West Indies on the idyllic island of St. Kitts. Surrounded by acres of rolling farmlands stretching from the slopes of Mount Liamuiga to the white sandy beaches below, this unique resort is a tranquil haven of serenity. Accommodation options include one-bedroom guesthouses, farmhouses at the luxurious Belle Mont Farm Boutique Hotel, and Caribbean-style villas in the Yaya Groves. Uniquely designed guesthouses offer open-sided verandahs, while the deluxe farmhouses are built around a grand central pavilion and feature a private 100-foot infinity-edge pool. Hidden among lush fruit groves, the Yaya Groves villas offer a magical escape with deluxe living spaces, personal staff, an infinity pool, and exquisite views. Delicious cuisine is prepared and served by personal chefs at both the farm and villas. Mango Walk Spa offers massages surrounded by a forest of ancient giant mango (Phone: +1 869-466-1712). 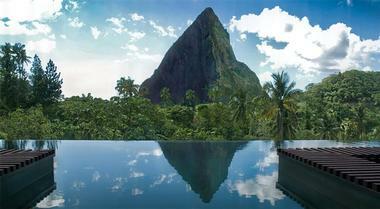 Cap Maison, located on the scenic island of St. Lucia, offers 49 guest accommodations, most with spectacular ocean views. Couples should book the Oceanview Villa Suite with a Pool and Rooftop Terrace for a once-in-a-lifetime experience. The suite offers stunning ocean views, whether you are lounging by the pool, relaxing in the living room or taking a nap in the master bed. Get massages at the spa, work out in the fitness center, lounge on the sandy beach and go swimming. In the evening, have a romantic dinner at The Cliff at Cap Restaurant with fantastic views of the ocean. Spa Maison offers an extensive menu of treatments for men and women. You can choose to get a treatment in several locations, including your suite terrace, on Rock Maison or under a gazebo in the garden. Bachelors who are worried about arranging the perfect proposal can contact the proposal concierge. For example, you can book a private sail aboard the hotel's luxury yacht and propose to your loved one. Ask about the "Proposal Package" when booking your stay. The resort is offering an all inclusive special in one of the luxury villa suites with rates from US$682 per room per day, including breakfast and dinner. (+1-758-457-8670). Tortuga Bay Hotel is one of the most luxurious honeymoon resorts in the Dominican Republic, offering a collection of luxury villas designed by the famous designer Oscar de la Renta. Different layouts are available, ranging from one to four bedrooms in size. Five star amenities include Frette linens, separate kitchens for each bedroom and coralline stone bathrooms. 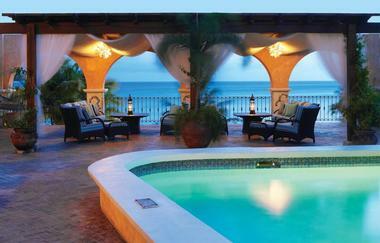 The villas have balconies overlooking La Cana Golf Course and the sea. The property is located at the Puntacana Resort & Club which offers championship golf, Six Senses Spa, eight gourmet restaurants and five miles of private, white sandy shore. Play 45 holes of championship golf on Tom Fazio's Corales, and P.B. Dye's La Cana, featuring some of the most scenic oceanside golf in the world. Dining choices include Mediterranean cuisine at La Yola which is set on the edge of the water, perfect for a romantic dinner. There are many great restaurants at Puntacana. For a romantic dinner with ocean views head to Playa Blanca. The restaurant is set on a sandy bay and serves local seafood, grilled meats, and cocktails for lunch and dinner daily. Rates start from USD $435 per night (809.959.2262). La Samanna is a luxury getaway offering a world-class spa, rooms with a view, and brand new oceanfront luxury villas. 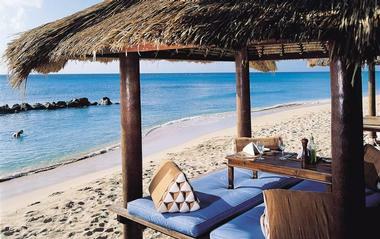 La Samanna is set on the island of St Martin, known for its sandy beaches and romantic atmosphere. The resort recently completed an extensive renovation of its guest rooms and suites, featuring a modern, light and clean design, with white flooring, counter tops, walls and furnishings. The design blends perfectly with the beautiful surroundings. New artwork and original etchings from Sir Roland Richardson adorn the hotel. Elysees Spa offers many relaxing treatments, including massages, body wraps, facials, and more. The spa can customize a treatment that fits your needs, whether you are trying to detox from a flight or soothe sore muscles after a day of playing in the water on your trip. Try the two and a half hour "Stress Reduction" package which includes a Mini-Reflexology Session, Body Wrap and a Relaxing Aromatic Massage. 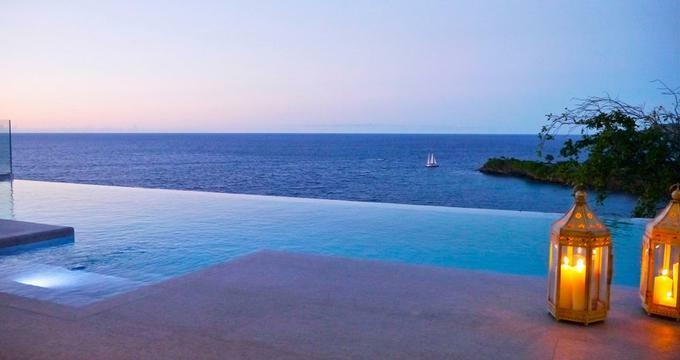 The new Villas overlooking the Caribbean Sea measure 4,600 square feet in size. Rooms start at $945 per night (800-957-6128). The Caribbean island of Mustique in St Vincent and the Grenadines is home to picture-perfect villas elevated above the sea and designed in a manner to give its residents 360 views of lush tropical surroundings. Mustique became a famous celebrity retreat in the 70s when Princess Margaret built her own villa on the island. This 5 bedroom villa can be rented for $22,000/week. Included is a guest cottage with 3 additional bedrooms, plus the Children's Quarters with 4 more rooms (for an additional $2,500/week). The villa has three pools: an infinity edge pool with spectacular ocean views, a lap pool and a kids pool for the youngest guests. You don't even have to worry about renting a car. 4 large Kawasaki Mules are available for guest use. The dedicated chef and butler make sure that your every wish is attended to. Gourmet food with fresh fresh tropical juices, salads and homemade breads is at your disposal 24/7. The island has a grocery store, a fish market and two hotels, Firely and Cotton House. 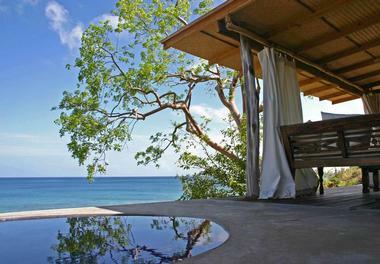 Most items arrive from Saint Vincent, so if you have any special requests be sure to call ahead (yemanja-mustique.com). Located on the sunny island of Curacao in the southwestern Caribbean, the Floris Suite Hotel is an all-suite beachfront getaway. 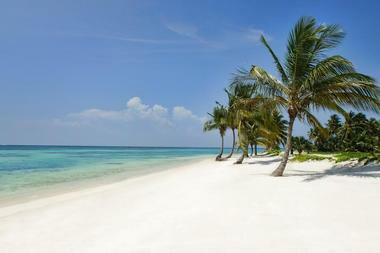 Spend your vacation relaxing on the sparkling white sand, surrounded by exotic flowers and refreshing trade winds. The hotel offers 72 designer suites decorated in light airy style. Guests can work out in the air-conditioned fitness room, play tennis and indulge in spa treatments. La Plage Hook's Hut, the hotel's private beach, is five minutes from the hotel. Frequently entertainment is provided on the beachfront, including traditional Jazz band music and Reggea nights. You can even have a romantic dinner right on the beach, enjoying a colorful Caribbean sunset. The open-air Sjalotte restaurant serves Mediterranean-inspired dishes in a tropical garden setting. Curacao is a Caribbean island with a population of 130,000, located 35 miles north of Venezuela and 42 miles east of Aruba. A flight from Miami takes about 2 hours and 30 minutes. The island is outside of the hurricane belt and offers warm, sunny climate throughout the year with average temperatures in the mid-80s. During the rainy season, from October to February, there are some short showers (800-781-1011). 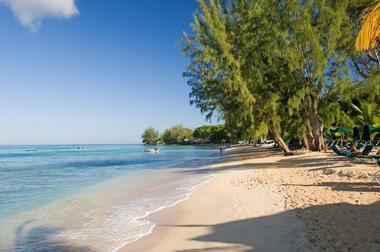 Little Arches is the only hotel adjacent to the landmark bay of Enterprise Beach on the southern tip of Barbados. 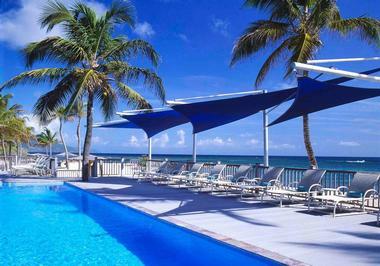 The hotel caters only to guests above 16 years of age and is a great idea for a quiet Caribbean honeymoon. ater-based activities can be arranged at the front desk or directly with the individual watersports operators on Enterprise Beach. Golf and scuba diving are available nearby. The hotel has ten rooms and suites including two luxury ocean suites with a private jacuzzi and a terrace. All rooms and suites have en-suite bathrooms with large walk-in showers, king size four-poster beds, air-conditioning, and a coffee maker. Ask for a view when reserving your trip. Cafe Luna serves is located on the rooftop of the hotel and serves breakfast, lunch and dinner. 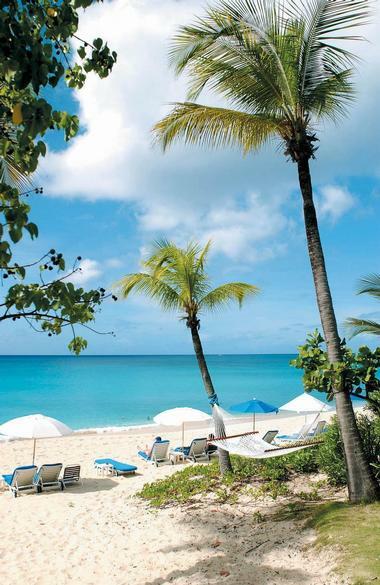 The hotel is a 15-minute car ride from Grantly Adams International Airport in Barbados. Rates start at $192 per night for a Garden Standard room in the summer and from $275 per night during the winter. Luxury Ocean Suites are $336 in the summer and $480 during the winter. If you stay for seven nights, there is a complimentary breakfast daily (246-420-4689). Couples Swept Away in Jamaica is a luxury tropical getaway for honeymooners who enjoy sandy beaches, relaxing in a hammock and spa treatments. All-inclusive pricing at the resort is quite affordable, starting at just $290 in low season. The romantic suites are decorated with cedar furnishings, white linens and shutters which lead out to a private terrace with a hammock and lounge chairs. Even if you don't usually find hammocks very comfortable, you are likely to change your mind at this resort where the hammocks are made out of soft white cotton, perfect for reading and napping. There are many activities you can try on your honeymoon to the Caribbean. The resort has a 10-acre fitness complex with tennis courts, squash, racquetball, a 25-meter lap pool, basketball court and an outdoor running track. >Ocean-based activities range from scuba diving and snorkeling to sailing and wind surfing. You can even play unlimited golf on a nearby course, included in the cost of your stay. 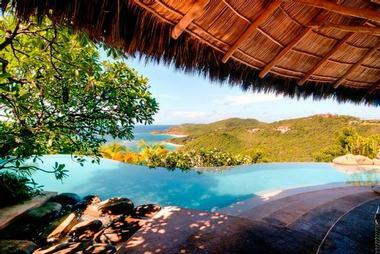 There are three swimming pools and five Jacuzzis for relaxing in the Caribbean sun. The resort has six restaurants serving Caribbean cuisine, Thai-fusion, Mediterranean dishes and grilled foods. Whether you want to dine in a casual setting or have a romantic dinner in a more formal restaurant, there us plenty to choose from. There are eight bars, including a swim up bar and a Piano bar. This all-inclusive hideaway has 12 Caribbean-style rooms and suites starting from $290. The resort offers the best deal guarantee: if you book a vacation and later realize that the prices have dropped, the hotel will change the reservation to give you the lower rate (800-268-7537). If you want to stay on a beautiful historic plantation on the water's edge in the Caribbean, Nisbet Plantation Beach Club is the place to book. Enjoy a relaxed setting, attentive service and gourmet dining with a view. 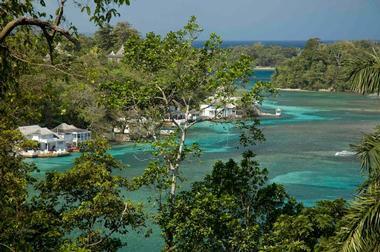 There are just 36 guest cottages with white pyramid roofs, air-conditioning and elegant island-style furnishings. 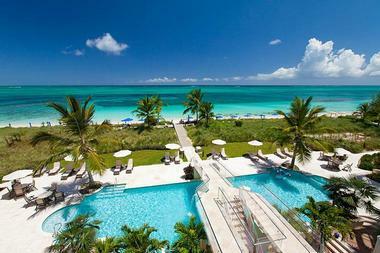 Many couples choose the resort for their honeymoon or a romantic Caribbean wedding. To commemorate your honeymoon or wedding, the hotel will plant a coconut palm in your honor which you can return to see years later. A visit to the Palms Spa is a must. The spa offers traditional and innovative treatments such as unique body wraps, scrubs and facials. To reach the hotel, fly either to St. Kitts (SKB) or Nevis (NEV) airport. The hotel will send someone to meet you at the airport in Nevis (the cost is included for stays of at least five nights). If you fly into St. Kitts, a private water taxi between St. Kitts and Nevis is $175 per person, round trip. There is also a public ferry. Cottages start at $455, including full breakfast, afternoon tea and gourmet dinner (869-469-9325). 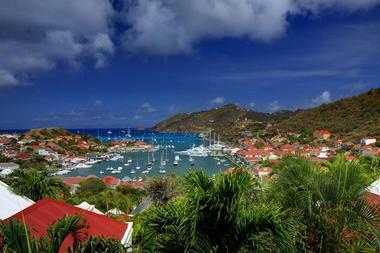 Hotel Carl Gustaf is a luxury beach vacation idea located on the island of St. Barts. The hotel offers a collection of spacious suites which measure at least 800 square feet in size. Each suite has a separate living room, private plunge pool, kitchenette, two TVs, and free wi-fi. 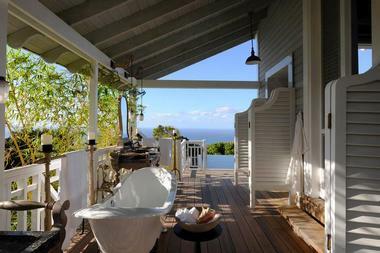 Ask for the Spa Suite with a Private Plunge Pool overlooking Gustavia Harbor and Shell Beach on your honeymoon. Boutique Spa by Carita offers relaxing massages and other treatments, a perfect addition to any luxury beach vacation. Couples can enjoy specially designed treatment rooms. Or try the Hydrozone which features steam room, essential oils shower, pebble path, outside Jacuzzi with special jets and an ice fountain. Guests enjoy a variety of watersports, including colorful scuba diving, snorkeling, cruising, sailing, windsurfing and kitesurfing. Rates start from 490 Euro per night for a suite (+590 590 29-7900, hotelcarlgustaf.com). 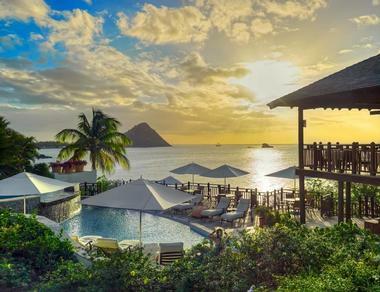 The Cap Est Lagoon Resort and Spa is a luxury resort located on Martinique. Guests have access to two amazing beaches right in front of the hotel, a pool, tennis court, spa and fitness. Explore the beautiful coast in a sea kayak or go windsurfing during the day. The 50 suites are spread throughout the resort's 18 detached villas. The 24 Deluxe and 7 Executive Suites have a private plunge pool and an outdoor shower. Most of the 19 Garden accommodations are located around the pool. Le Campeche, the lagoon restaurant, is the place to go for light meals for lunch and dinner. Le Belem serves fusion cuisine and has a hundred vintage rums and cigar cellar. Head to the lounge bar for a evening drink and some musical entertainment. Room service is also available. There are regular international flights to Martinique's International Lamentin Airport. VacationIdea.com Tip: Look for specials on the hotel web site throughout the year. Rates start at Euro 400 in the low season. An Executive Suite starts at Euro 800 per night (capest.com). Rock House is a small luxury hideaway located on Harbor Island in the Bahamas. This boutique hotel is within walking distance of the harbor and its quaint island shops. The beach is just a golf cart ride away. >The hotel has nine spacious king size rooms which are each individually decorated and are named Palm, Nautilus, Pineapple and Seahorse. The rooms have new bathrooms, private terraces, central air-conditioning, cable television, high speed internet access, mini bars, safes, and luxurious 400 thread count cotton sheets. As a fabulous extra, each room comes with a private cabana surrounding the hotel's 40-by-20 foot swimming pool. This should come as great relief to anyone who has ever tried to claim even a chair by the pool at almost any large resort. Honeymooners can choose to dine at either of the hotel's two restaurants, the Grill and the Rock House dining room. Open for lunch and dinner, the Grill serves light grilled food and is located in a palm filled courtyard with views of the harbor. Dinner is served in the more formal dining room, furnished in British Colonial style. Dishes include Bahamian seafood, crispy Thai spring rolls and the hotel's famous crab cakes. Guests can be seated privately or sit with others at the Chef's table. For a trip to the beach, Rock House can arrange picnic baskets, a cooler of drinks, umbrellas, chairs and towels, a great romantic idea on your Caribbean honeymoon. Snorkeling, diving, water skiing, golf cart rentals and sightseeing can also be arranged on request. If you are feeling energetic you can workout in the Rock House gym, which is equipped with a variety of fitness equipment. Or feel free to relax and have a fruit martini or frozen drink next to the pool at the Martini Bar. If you are looking for a quaint tropical island getaway with style and attentive personal service, Rock House is the place for you. To reach Rock House and Harbor Island in the Bahamas you need to fly to North Eleuthera from Fort Lauderdale, Miami or Nassau. Rock House is a short water taxi ride away from North Eleuthera. Alternatively, fast ferry service is available from Nassau to Eleuthera. Doubles start at $275 per night plus tax and service charge; a minimum three 3 night stay is required. Get away to tropical Belize to enjoy amazing views, outdoor activities and delicious cuisine in a natural setting. Belcampo is an eco-friendly hideaway with an organic farm, 16 elegant suites and a relaxing spa. Located in southern Belize, the property is surrounded by a 12,000-acre nature reserve, perfect for wildlife watching, fly-fishing and hiking. The Lodge has a swimming pool, Jungle Spa and observation decks with views of the coast, the rainforest and the Maya Mountains. The Jungle Farm Restaurant and The Rum Bar serve local cuisine featuring sustainable seafood, local meats and vegetables from the hotel's own farm. Guests are accommodated in spacious suites with private verandas and floor-to-ceiling windows overlooking the surrounding rainforest. If you want a view of the Caribbean Sea, ask for one of the new Ridge Suites which have outdoor soaking tubs and a wet bar with private butler service. Activities in the area include kayaking on the Rio Grande, hiking through the nature preserve and mountain biking. Don't miss a tour of the farm which produces 70% of the food served at the Jungle Farm Restaurant. Enjoy rejuvenating treatments at the spa which uses locally sourced ingredients in its treatments. Suites start at $288 per night. 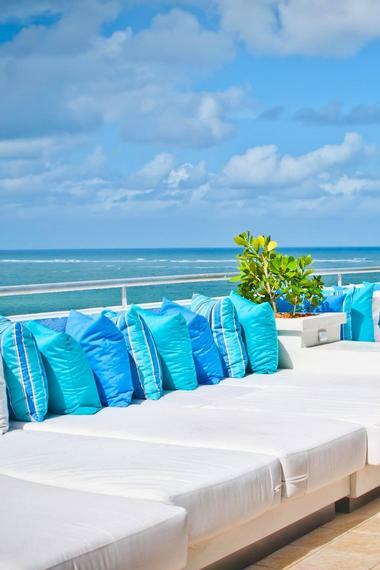 San Juan Water & Beach Club Hotel is a stylish getaway fronted by a white sandy beach in Puerto Rico. Honeymooners can spend their days surrounded by blue waters of the Caribbean in a luxury setting with design elements such as waterfalls in elevators, and sounds of surf in the hallways. A unique service offering at the hotel are "Desires" boards in each room which let vacationers easily request items from the hotel staff. Customized room amenities, including snacks, music and room location can be requested before arrival. Located a few miles from Old San Juan, the hotel opened in 2001 and was originally known as The Water Club. The high-tech fitness center is complimentary to guests. Travelers can easily stay in touch since WiFi access is available throughout the property, including the beach. There are 84 luxury guestrooms with partial and full ocean views. The rooms feature custom designed beds, free-form glass worktables and bleached natural wood flooring. Ask for an ocean view room. Ocean-view Tangerine serves a selection of Caribbean and Mediterranean-inspired dishes. Wet bar and lounge on the 11th floor offers panoramic views of the island. The bar serves sushi, grilled items and finger foods. Don't miss the Sarong Sunday party. Fly to to San Juan, Puerto Rico, and take a taxi to the hotel, located 3 miles from San Juan's International Airport. Doubles start from around $220 per night (787-728-3666). The family-owned and run Coral Reef Club is set on 12 acres of landscaped gardens on the west coast of Barbados. This romantic hideaway has two swimming pools and a white sandy beach where you can choose from several complimentary watersports. There are 88 guest accommodations with a choice of layouts. 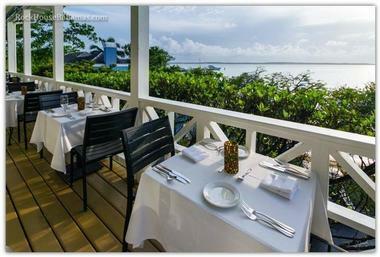 The restaurant has an excellent view of the Caribbean Sea and serves classical French dishes. The menu changes daily so you can try many different flavors. Room rates start at 481 per night. The Coral Reef Club also offers rates with a modified American plan which includes the room, breakfast, and dinner. Ask about the honeymoon packages which starts at $4,520 for 7 nights. (246-422-2372).